Arjo Rental provides both flexibility and choice, allowing access to a bespoke solution which includes the latest equipment to support in and out of bed mobilisation / repositioning whilst channelling limited financial resources to where they are most needed. 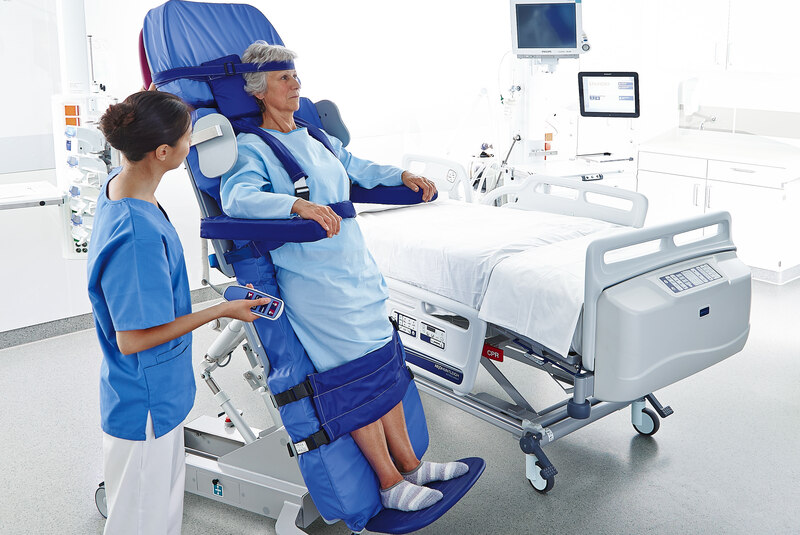 Click below to see how an ICU solution from Arjo can assist with repositioning the critically ill patient. 7.Gosselink,R.,J.Bott,etal.(2008). "Physiotherapy for adult patients with critical illness: recommendations of the European Respiratory Society and European Society of Intensive Care Medicine Task Force on Physiotherapy for Critically Ill Patients."IntensiveCareMed34(7):1188-­‐1199). 8.Dueck,M.,WindA.,TrieschmannU.,SchinkU.(2010). "Respiratory effects and safety of an intermittent standing position during mechanical ventilation” European Society of Intensive Care Congress, Barcelona Spain.. 10.Dean,E.,Perme,C.(2008). "Effects of positioning and mobilisation". Physiotherapy for Respiratory and Cardic Problems, Adults and Paediatrics. UK, Churchill Livingstone Elsevier. 11.Dean E (1999) The effect of positioning and mobilisation on oxygen transport. Cited in ProyrJA, Webber BA (eds) (2008) Physiotherapy for Respiratory and Cardiac Problems, 2nd edition.LondonChurchill Livingstone, 121-36. 13.Wenger,N.K.(1982). "Early ambulation: the physiologic basis revisited. "AdvCardiol31:138-­‐141.